Lucy White, CNM, grew up in western Maine before traveling to Washington, DC where she earned her BA in French Literature from George Washington University. Following three years in the Peace Corps, Lucy went on to receive her BSN and MSN from Columbia University in New York City. 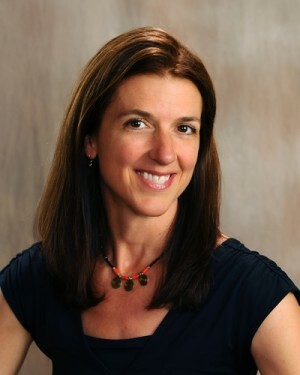 She is a member of the American College of Nurse-Midwives and is board certified in New Hampshire.Lucy has been in practice for eleven years and enjoys providing routine gynecologic care to women throughout the lifecycle as well as comprehensive prenatal care, as well as labor and delivery management. She is trained in Centering Pregnancy, HypnoBirthing and assisting at waterbirths in addition to more traditional birthing options.Lucy lives in Portsmouth with her husband and two children. She enjoys triathlons, skiing, traveling, teaching and playing with her children.